The learners practice critical skills in actual projects with the light supervision of the nodal experts. Global professional services firm Genpact is working on an internal project called Genome to reskill its employees, which works on the principle that an employee skilled in a subject, irrespective of seniority, can help others learn their skill set. Launched in November, the programme aims to reskill all the 87,000 employees at Genpact. “We want to have an adaptive workforce, which is more important than a competent workforce,” said Gianni Giacomeli, chief innovation leader at Genpact. Based on operating models derived from Massachusetts Institute of Technology’s Centre for Collective Intelligence work, the programme is customising the reskilling paths for each of the employees. The programme rests on employees taking stock of their skills, enrolling for e-learning programmes or other kinds of online courses that may have internal or external content and connecting and having conversations with people within the organisation. Finally, they use their skill in practical applications to solidify their understanding. “Genpact identifies nodes of expertise across the organisation, which enables the spark to collective intelligence. These nodal experts are employees who already have expert skills and knowledge others need, but may not necessarily be hierarchically higher than others…We believe in winning as teams, and not as individuals and this learning method reflects just that,” said Giacomeli. The learners practice critical skills in actual projects with the light supervision of the nodal experts. Once they complete those tasks satisfactorily, the experts, team leaders, and human resource coaches assess the level of completion and “certify” the learner in their chosen skill. Since kicking off the programme in November 2018, the company has rolled out the skill-assessment phase to 10,000 employees and have already identified over over 1,600 leaders or experts in India. Given the rapid pace at which technology is evolving, the technology industry in India has been talking about the need to reskill employees. 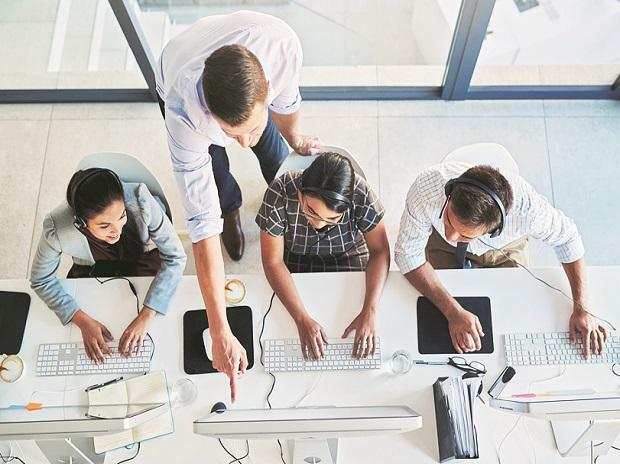 Industry body National Association of Software and Services Companies (Nasscom) has spoken about skilling and reskilling being an industry priority as all businesses and countries are dealing with a global tech skills shortage. A recent study by Clover Infotech found that nine of 10 technology sector employees feel there is a huge gap between academic knowledge and on-ground skill requirements. Compared to the United States and European Union, India has a younger workforce which has a better appreciation of the value of education, said Giacomeli. This is helping drive greater participation in the programme. The project covers about 40 macro capabilities and over a 100 subskills. The subject experts are curating both internal intellectual property and external content, online courses, multimedia content across professional skills such as agile, design thinking, storytelling; digital skills such as automation, artificial intelligence and analytics, as well as domain specific skills. The cost is partially borne by Genpact and partially by the employee.